OK, you’ve heard the word and think you know what they are. They can be more. 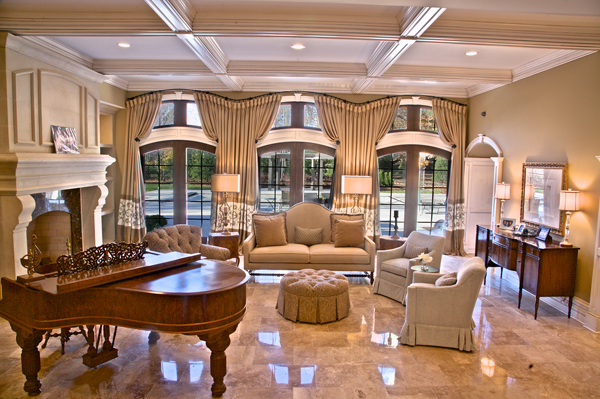 Cornices are a top treatment that forms the top frame piece of your view. In the end, good window treatments frame your view rather than block it. Many think of wood cornices that are stained to match the woodwork, have a crown molding top and perhaps panels with additional trim on the face. These are indeed cornices but there can be many variations. 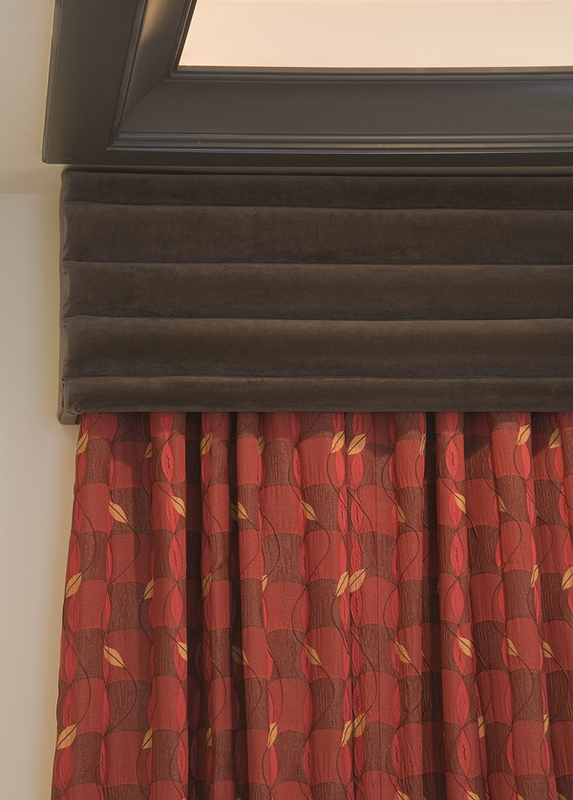 Cornices can have a solid face and be upholstered with the fabric of your choice. You can add other decorations to the face of the cornice. The bottom line can be shaped to reflect your own style. When upholstered, the solid face need not be wood. We use a recycled, hypoallergenic, mold resistant, formaldehyde free, flame resistant product that is perfect for a cornice face and much cleaner and safer to have in your home. Plywood, OSB or other wood products can’t match these features. Cornices can also be made with a soft face that appears to be firm. While there are limitations to size and additional decorations that can be added, they look great when executed properly. These are not valances, they are literally soft cornices. Ask us about them.